Striped shirt in red and white, made in a soft and airily poplin weaved cotton fabric. Trendy cut-away collar and white buttons. 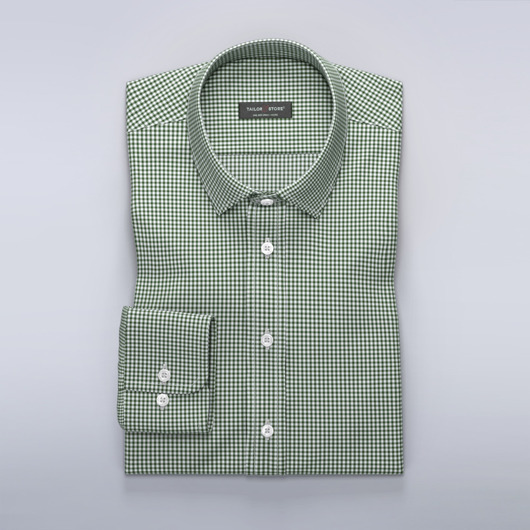 A shirt that goes well under your suit jacket or with a pair of dark chinos for a more relaxed look. Made to your measurements.